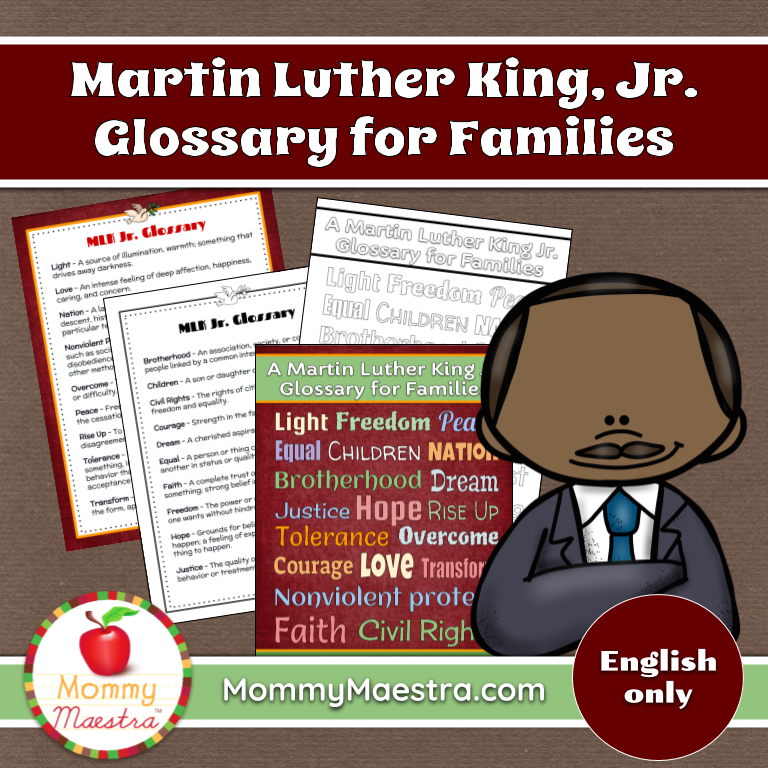 In honor of the great Dr. King, I have created this printable poster and glossary of words associated with the American hero. His words are just as important today as they were back when he was alive and especially on August 28, 1968, when he delivered his famous speech. Decorate your classroom or refrigerator with these colorful posters, or print the black-and-white version and have your child color it in. To celebrate the holiday, I've made this a FREE DOWNLOAD TODAY ONLY! Visit my TpT shop to download your copy today.